Planning on a holiday celebration, romantic anniversary dinner or family gathering party? Look no further, fondue dish is a must have! Cheese, chocolate, meat, everybody can be their own chefs enjoying personal favorites while having fun with it. The specials of a fondue cooking & smell leaves your party with great memories. Artestia designs and manufactures high quality products. 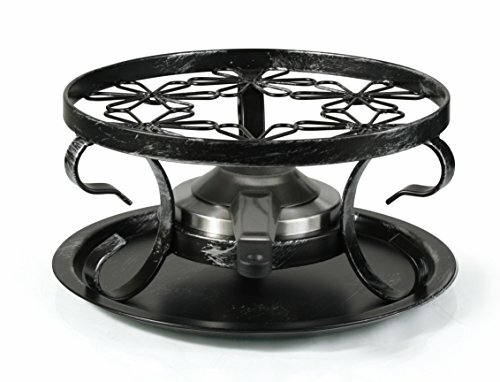 This Wrought Iron Rechaud and Fondue Burner is a great addition to your tabletop cooking.